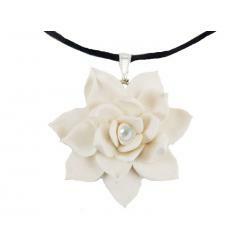 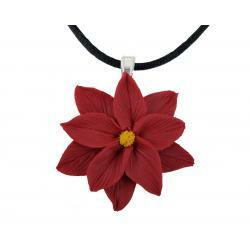 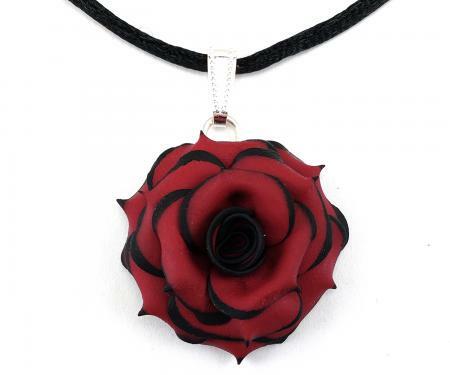 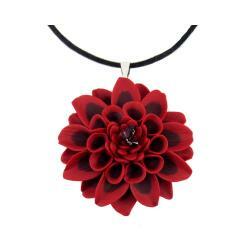 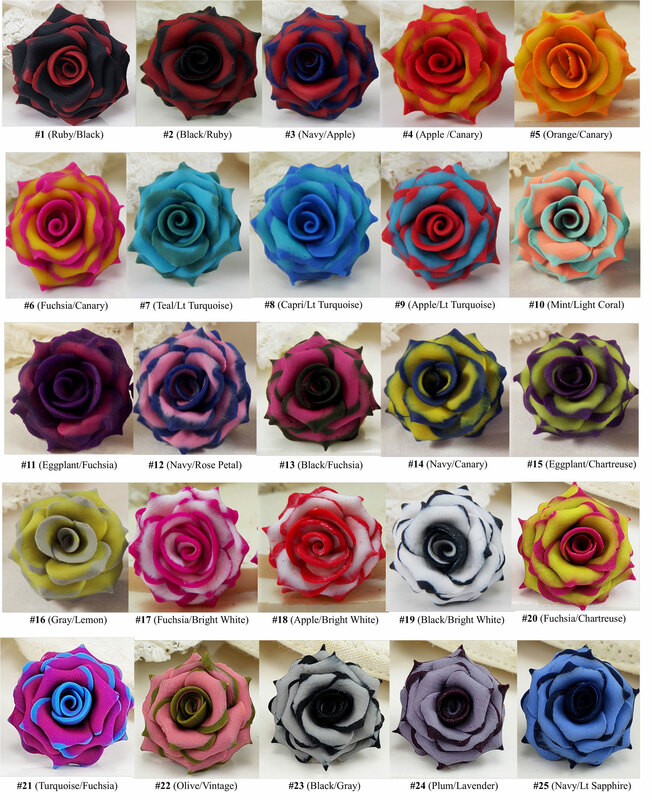 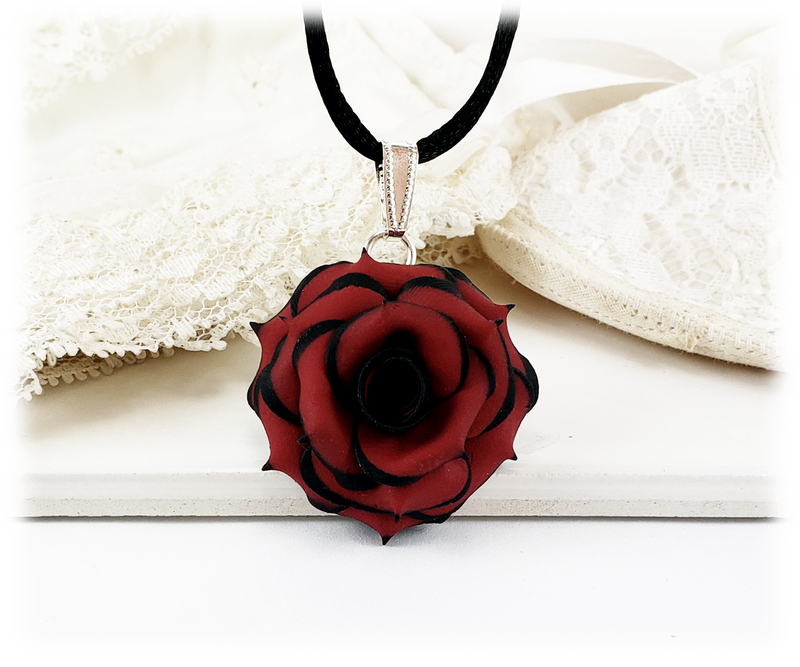 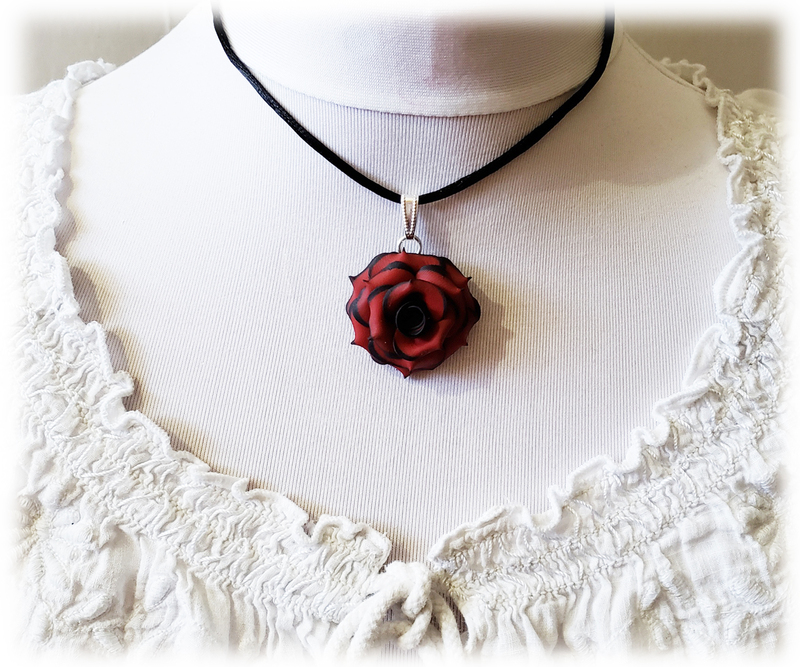 This variegated rose choker or collar length necklace is available in many colors. 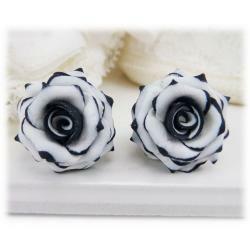 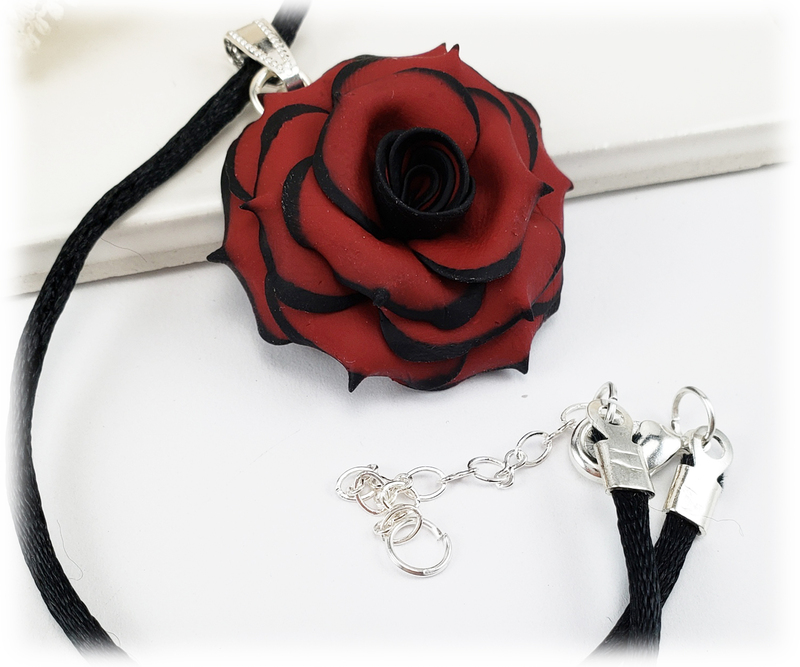 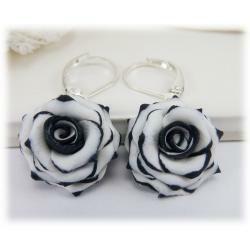 Handcrafted rose drops from a silver-plated bail and satin cord. 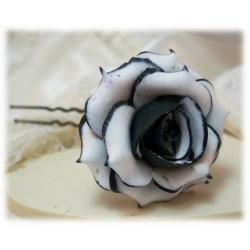 The flower measures 1 inch in diameter.